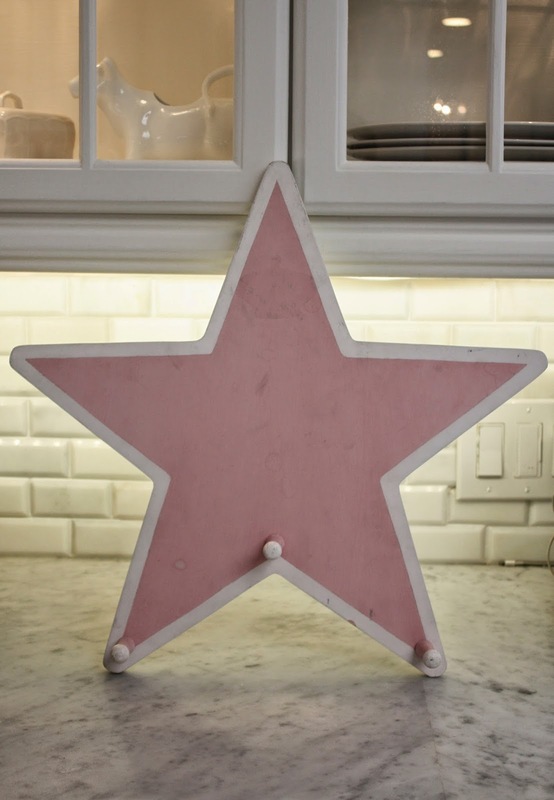 I recently found this pink wood star at a thrift store for $1.99. It had cute little peg hooks and was probably darling in someones nursery at one point. But, I had other plans for it. I took the pegs out and drilled 16 holes all over it. globe lights in the holiday section. to the back, securing them with a staple gun. I am not a professional photographer, but I think it turned out pretty cute and I think it will be really cute during the holidays. 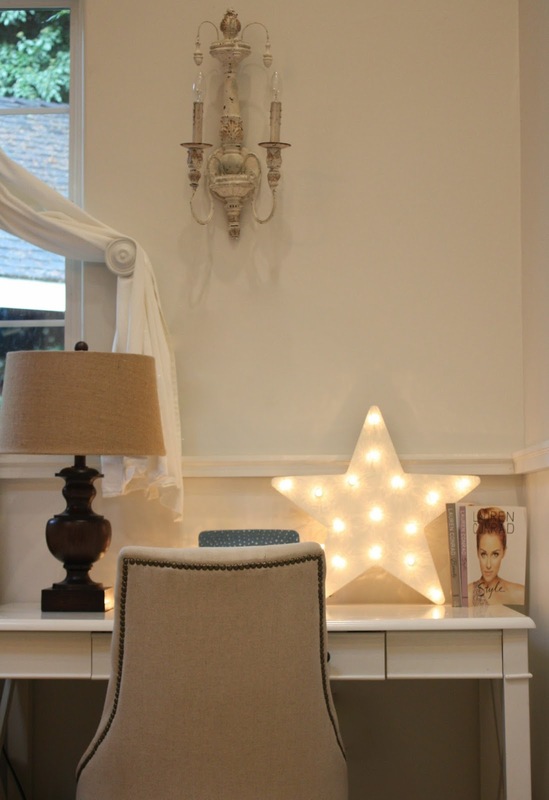 But for now, it's in Savannah's room, because she is obsessed with stars. I will be back tomorrow with the winner of the volume twenty five giveaway! I love it! It´s beautiful! I wish I could look at those same things at Value Village and see their potential. I am missing the creative vision gene. Great! 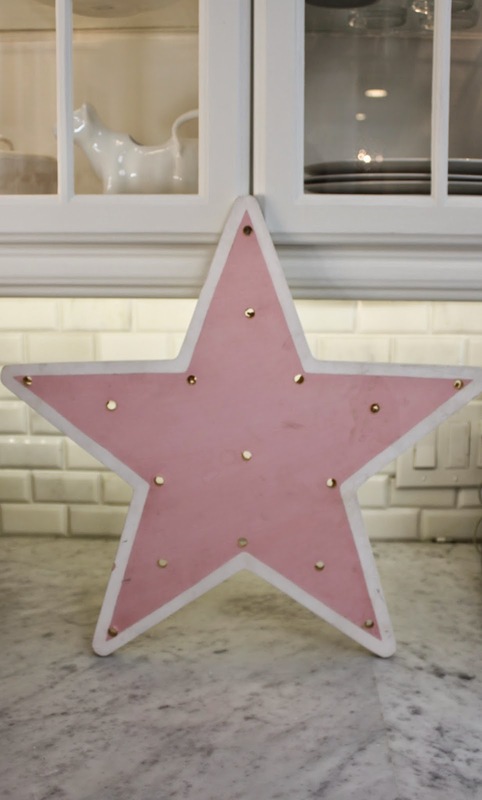 I love such DIY! You have had great idea! I think I will borrow it some day when I find suitable elements ;) Cheers! This is really a great project. Goes to show you don't need to spend hundreds of dollars to get an amazing look. So creative. I would have walked right past that star. Very cute and perfect for the holidays. 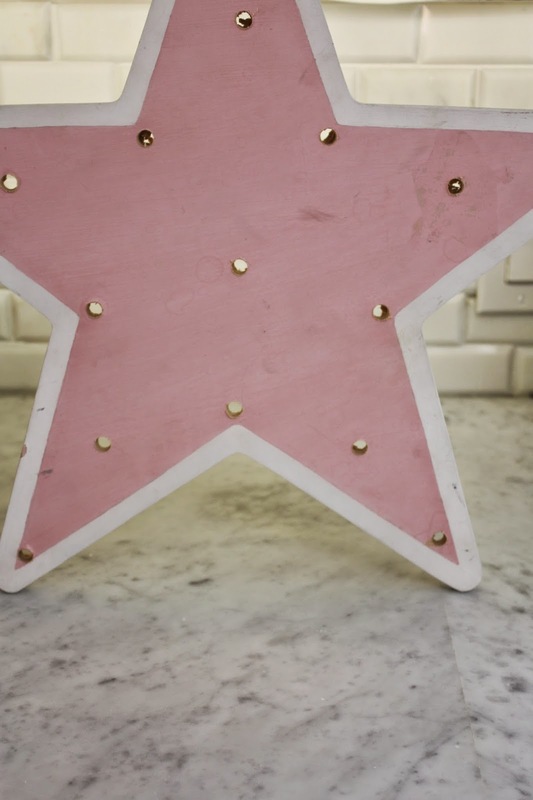 This reminds me of what Pharrell said on The Voice this week... "Stars don't stand still. They twinkle." I'm sure I'll be running into u soon there! I got the star at the Redmond vv and the lights at Wdnvl vv ! 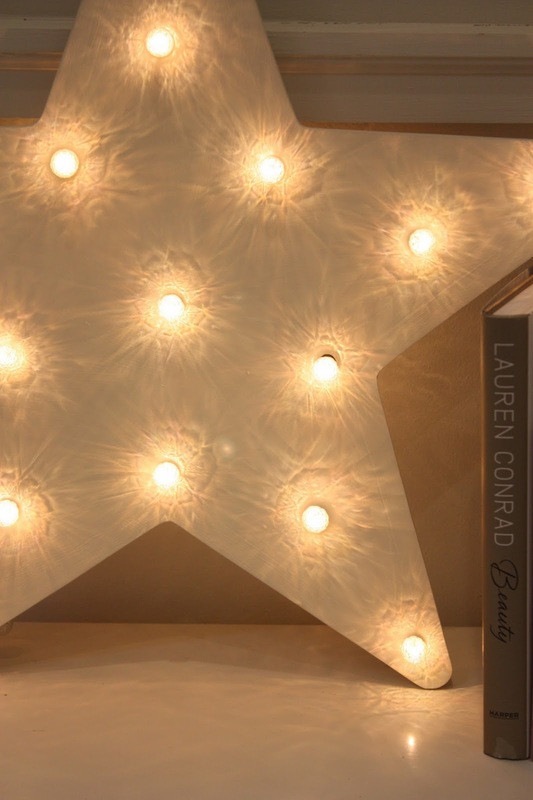 Your star looks much better with it's lovely lights. A great idea. I think this might be a weekend project.